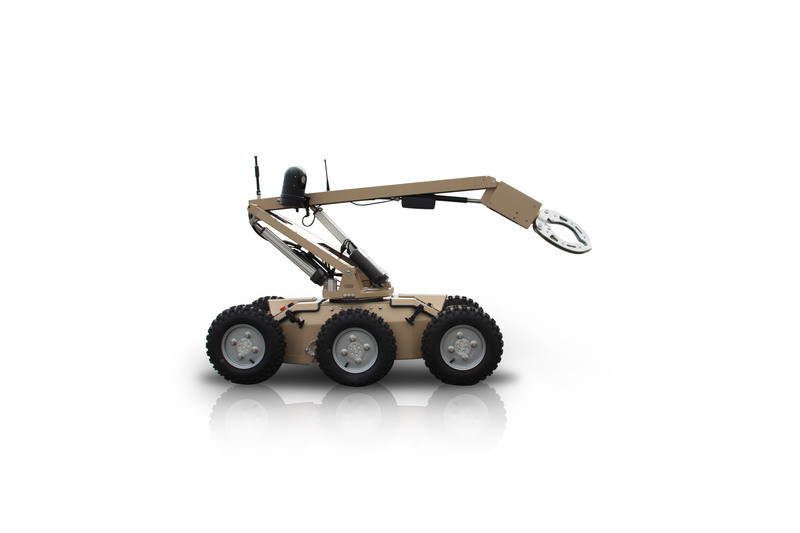 R-Evolve is an advanced, reliable and robust EOD robot with applications extending to CBRN. Its manipulator arm has 6 degrees of freedom with variable speed control of its electronic actuators. 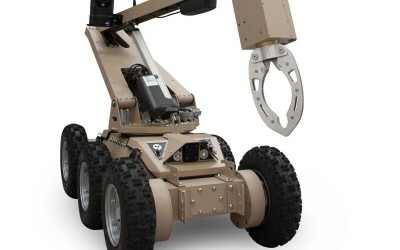 Its lift capacity is 75 kg arm retracted and 30 kg arm fully extended. 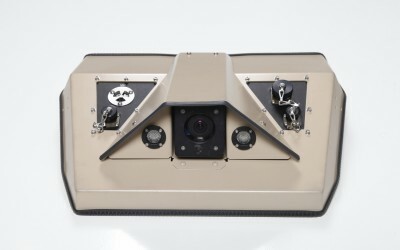 The R-Evolve using the latest COFDM technology and Military Frequency Hopping Spread Spectrum has an operating range up to 1 km in built up areas and 1 km + with line-of-sight. 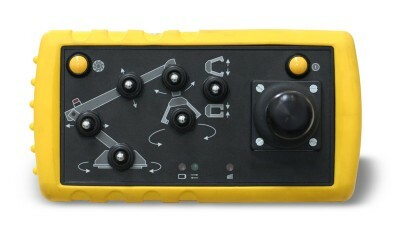 The R-Evolve may also be cable controlled up to 150 m in Electronic Counter Measure conditions. The R-Evolve has four independent fail-safe firing circuits. 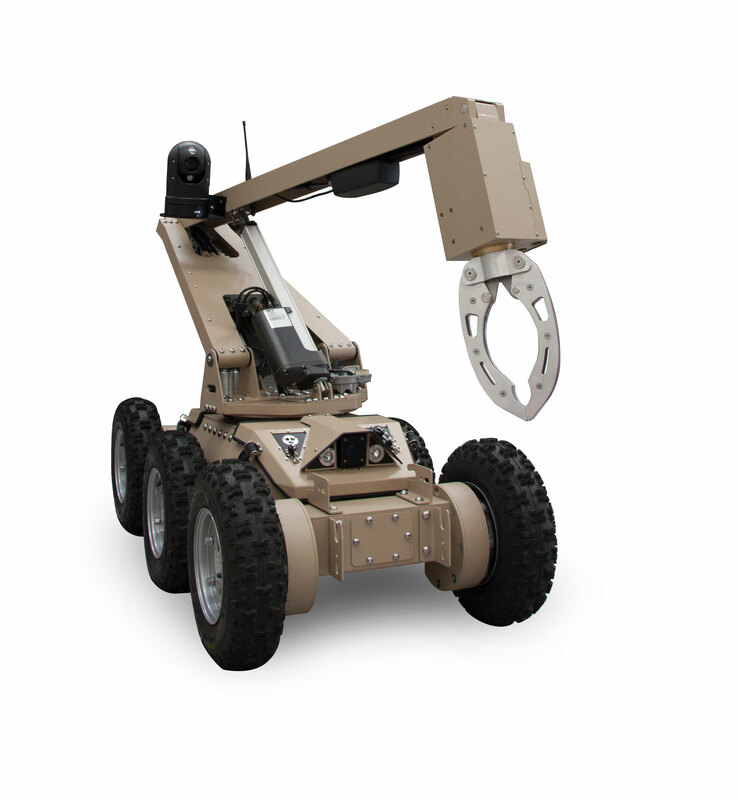 The firing system firing sequence is initiated with a removable safety key. A five second countdown take place before firing during which a warning beacon flashes and a siren sounds. 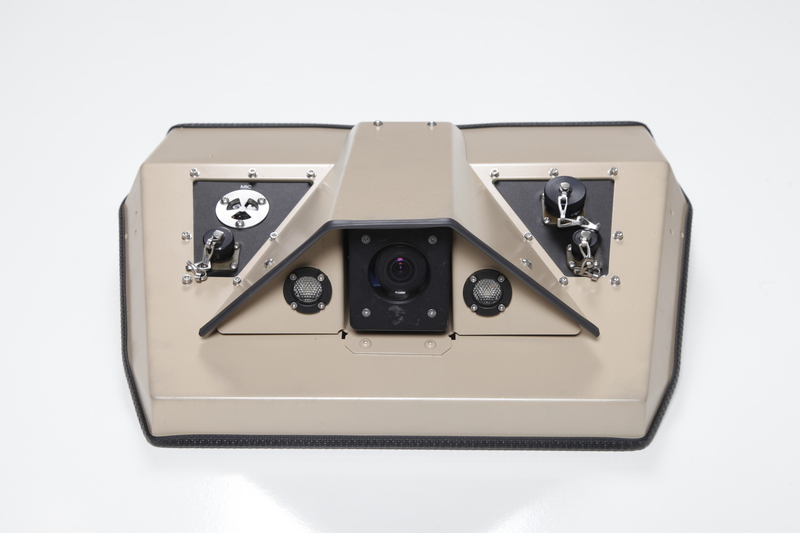 Additional functionality can be extended to the R-Evolve such as X-ray, Remote Disruptor Platform (RDP) for under-car and low clearance operations, CBRN sensors and a R-Evolve training simulator. 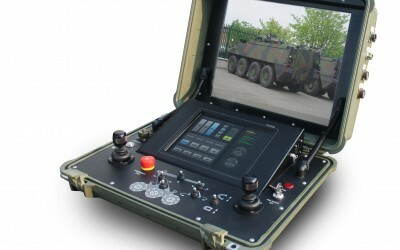 The Command Console is packed full of useful features such as camera environment settings for improved light levels, an LCD touchscreen which works in direct sunlight and while wearing gloves, speakers which receive audio from the R-Evolve and a key activated weapons screen with self test and diagnostic feedback. 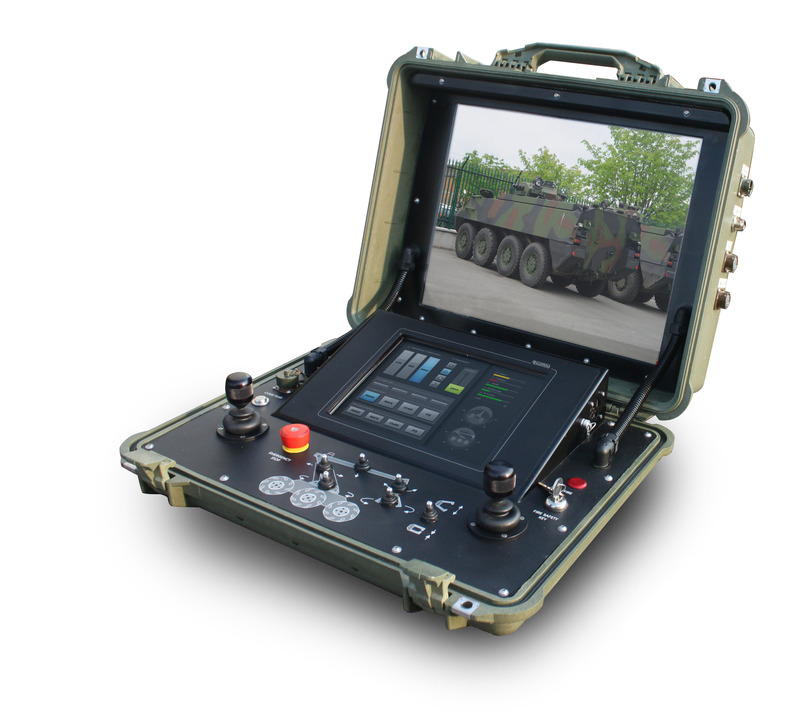 A plugin unit can be connected to the command console which turns the command console into a training environment with simulated onscreen scenarios responding to command console control.